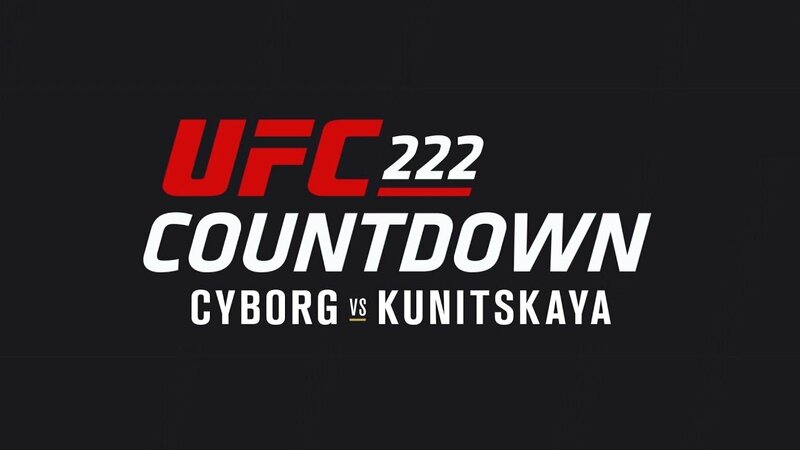 It’s time for the full episode of the UFC 222 Countdown show. As we go inside the lives and gyms of four featherweights preparing for UFC 222. First we have the super dominant women’s champ Cris ‘Cyborg’ Justino, who has not lost a professional fight in over twelve years in the sport. As she welcomes Invicta FC striker Yana ‘Foxy’ Kunitskaya to the UFC. And in the co-main event former lightweight champion Frankie ‘The Answer’ Edgar. Looks to bring a stop to the momentum of rising star ‘T City’ Brian Ortega. As the two men battle it out in the co-main event for the much coveted No. 1 contender spot. To face Hawaii’s own Max ‘Blessed’ Holloway for the featherweight strap. We also have two top 15 heavyweights Stefan Struve and former champion Andrei Arlovski as the two prepare to clash at UFC 222. All your action takes place live from the T-Mobile Arena Las Vegas on March 3.